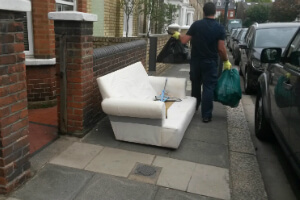 Ilford IG Commercial & Domestic Junk Removal | Quality Property Care Ltd. If you’ve completed gardening and have waste materials that you cannot dispose of yourself, worry not, we’ve got your back. We can remove plants and flowers, litter, garden weeds, plastic bags and liners, twigs, leaves, small branches,, animal bedding or straw, Christmas trees, plants, pots and plant containers,, glass cuttings soil and turf and also hedges or hedge clippings. All of this is disposed safely, you will be informed if there are further charges associated with particular pieces we are throwing out, before we start the process of removal. So, maybe it is time to clean out your home, office, garage or loft and make some room for really useful stuff. Book your rubbish removal and rubbish clearance service today! Quality Property Care Ltd. has been delivering its professional junk removal services to the businesses and residents of the area for more than 10 years. The experience and ambition of the operations have enabled the establishment of very affordable, efficient and eco-friendly clearance, waste disposal services and waste removal. The customers will basically spend less money by hiring the professional waste removal and disposal services of the firm, rather than hiring a skip, as well as dealing with the council. The company has vans to load and transport the rubbish, and works with a few recycling centres and disposal sites in Ilford IG, so that there is consistently dumpster which is relatively close and is perfect for disposing the stored junk. 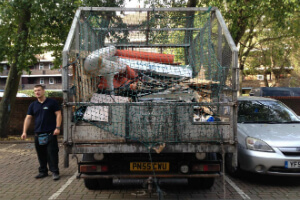 To book the junk removal service you want, all you have to do is send an online reservation form or contact 020 3746 4287. The customer care service is offered and will be back with a prepared verification straight away. If you choose to book combined services, such as: builders waste removal along with after builders cleaning, or garden waste removal along with gardening services, you will acquire very nice deals! Book now, no downpayment is required! You can book the junk removal services on bank holidays and weekends with no fee added. Also, same-day service booking is available.